Intertidal mudflats are distinct, highly-productive marine habitats which provide important ecosystem services to the land-sea interface. In contrast to other marine habitats, and despite a large body of primary scientific literature, no comprehensive synthesis exists, such that the scattered knowledge base lacks an integrated conceptual framework. We attempt to provide this synthesis by pulling together and contextualizing the different disciplines, tools, and approaches used in the study of intertidal mudflats. The editor pays particular attention to relationships between the various components of the synthesis, both at the conceptual and the operational levels, validating these relationships through close interaction with the various authors. Illustrations note 107 Illustrations, color; 33 Illustrations, black and white; XIV, 429 p. 140 illus., 107 illus. in color. 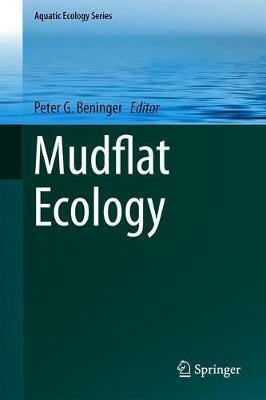 Introduction: Mudflat Basics.- Geological, Physical and Chemical Foundations.- Microbiota - The Living Foundation.- Microphytobenthic Biofilms: Composition and Interactions.- Meiofauna - An Inconspicuous but Important Player in Mudflat Ecology.- The Upper Living Levels: Invertebrate Macrofauna.- Bivalve Chemosymbioses on Mudflats.- Sedimentary and Biological Patterns on Mudflats.- Ecology of Parasites in Mudflat Ecosystems.- Mudflat Ecosystem Engineers and Services.- Biological Invasions of Mudflats.- Shorebirds as Integrators and Indicators of Mudflat Ecology.- Mudflat Fishing.- Mudflat Aquaculture.- Quantitative Considerations in Mudflat Ecology. Prof. Peter G. Beninger's research focusses on the ecological consequences of marine organismic biology. This sometimes extends far out on either side of the organism-ecology interface, either delving into sub-cellular levels for the keys to phenomena such as sexual selection in crustaceans or particle processing in suspensivores, or critically examining the most appropriate statistical foundations for growth modelling or population-level analyses. He has worked primarily on feeding, development, and reproduction in a diverse array of marine animals, including bivalves, gastropods, crustaceans, shorebirds, and the fascinating world of meiofauna. Living close to extensive mudflats which are exploited for fishing and aquaculture, in both Canada and France, he has spent much of the past 30 years studying this environment.